Donna Chapman Mayry passed away on Wednesday, Jan. 8, 2104. Family and friends are grateful for the abundant love Donna brought into their lives. She was an adventuress at heart and cherished every moment she spent hiking the Idaho mountains and the many other beautiful areas of this country. Her deep connection to nature evoked her spiritual side and true appreciation for the simple things in life. She was deeply, quietly spiritual. Donna practiced and taught yoga throughout her adult life. She had a beautiful child-like wonder and curiosity about the world around her. One of her close friends recalled Donna’s unique ability to be “fully, absolutely present” in her interactions with others. Donna was born on Oct. 18, 1944, in Long Branch, N.J. In the Virginia countryside where she was raised she became an avid horse rider, winning many awards as a hunter-jumper. 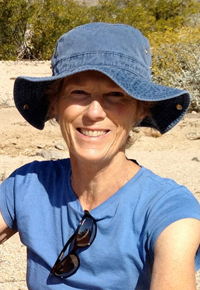 After moving to Sun Valley in 1980, Donna began dressage riding at River Grove Farm in Hailey. Donna, and her horse, graduated from Gunston School for Girls in Centerville, M.D, a boarding school at the time with an athletic program dedicated to horseback riding. She completed her education at Converse College in Spartanburg, S.C., graduating from George Washington University in Washington, D.C., and continued with graduate studies at NYU in New York City. Donna loved being a mother and raised her two children, Kim Payes and Kent Kreitler, in the Wood River Valley. Each share their mother’s appreciation of nature and the environment, being true to oneself, and following their hearts to be open, loving, caring and appreciative of all the good that life and friends bring. In June 1996, Donna married Mark, her soul mate. Together they created a life filled with friends, family, travel and appreciation of new experiences. Mark was the great love of Donna’s life. Their commitment to one another was evident to all. As Donna courageously fought her battle with lung cancer, Mark cared for her with strength and compassion. Donna’s vibrant and fun-loving spirit touched many lives. She will be missed, but always remembered, by her sister Marilyn Setzer, her children Kim Payes and Kent Kreitler, her grandchildren McKenna Payes, Greyson Payes, Kreitler Payes and Kailani Kreitler Spadafora, her beloved little dog Lapis, her many friends, extended family, and her cherished husband, Mark Mayry. A memorial will be held outside in the summer where friends, family and Donna can commune with nature. Please send any memorial donations to the Hospice of the Wood River Valley, which graciously cared for her.